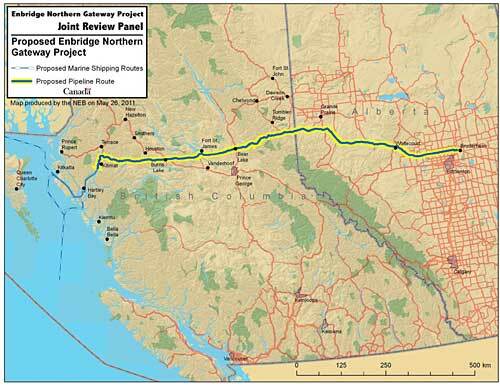 It will take more than year for the Enbridge Northern Gateway Joint Review Panel to complete hearings and taking evidence before it even begins to consider a decision whether or not to approve the controversial pipeline proposal. Even then, the worries of the residents of northwest of British Columbia will be only one factor in the panel’s decision. In deciding if the Project is in the public interest, the Panel will consider whether Canadians would be better or worse off if the Project was approved. The public interest includes all Canadians and refers to a balance of economic, environmental and social considerations that change as society’s values and preferences evolve over time. This summer, those who wish to formally participate in the hearing process must register with the panel. For those who wish full intervenor status, the deadline to apply is July 14, 2011. For those who wish to make oral statements in the community round of hearings, the deadline to apply is October 6, 2011. Those formal intervenors who wish to request information from Northern Gateway have two deadlines. August 25, 2011 is the deadline for the first round, after which Northern Gateway must respond by October 6. The intervenors then can ask Northern Gateway a second set of questions, with a deadline of November 3, 2011. Northern Gateway must respond by November 24, 2011. The deadline for intervenors to file written evidence with the panel is December 22, 2011. On January 10, 2012, the Joint Panel will begin the “community hearings” phase where anyone who met the registration deadline, either as an intervenor or a community participant, can make a presentation to the panel. These community hearings will be held across northern BC and Alberta, along the route of the pipeline and down the coast, with, sources say, a significant session slated for Kitimat. The community hearings are expected to take several weeks. Those who made oral comments to the panel then have until March 13, 2012 to file follow up letters. 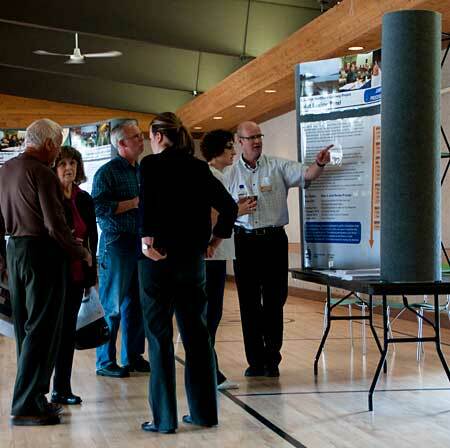 The community hearings are then followed by another round of filing by the intervenors and government participants. On June 16, 2012 the Joint Review Panel will then open the more formal “final hearings” at a location to be determined. Around the same time, the Joint Review Panel must prepare an environmental assessment report that will be submitted to the Minister of the Environment. In other words, as those who have attended Enbridge’s briefing sessions know, the company has outlined a whole series of safety measures, for example, adding navigation aides to Douglas Channel and parts of the coast. If the environmental movement wishes to challenge the voluminous reports, likely costing millions of dollars that Enbridge has already filed as part of its application to the Joint Review Panel, the environmental concerns will have to be backed up with solid and expensive expert evidence. The government response will set out whether the Government of Canada agrees or disagrees with the conclusions and recommendations made the Panel by the panel regarding the potential environmental and socio-economic affects of the Project. The Governor-in-Council [ the federal cabinet] must approve the government response. This approved response will be made available to the public. After it hears the government response on the environment, the panel makes its decision, whether or not the project can proceed. The Panel will issue its Reason for Decision which will include a decision whether or not the Project is in the Canadian public interest. If the Panel decides the Project can proceed, its Reasons for Decision will include conditions that Northern Gateway must meet before, during and after the construction of the Project. If the Panel decides that the Project should proceed, the Panel will send its decision to the Governor in Council who can either accept or reject the decision but cannot modify it. The Governor in Council means the federal cabinet, so the final decision will rest with Prime Minister Stephen Harper. Progress Energy Resources Corp, which signed a C$1.07 billion ($1.09 billion) shale gas alliance with Malaysia’s state oil company, is pushing for a consolidated regulatory process for pipelines and liquefied gas export plants, its chief said on Monday. A big driver for Progress’s deal with Petronas is a plan to build an multibillion-dollar LNG plant on the West Coast to take all of the shale gas production from the partner’s lands in the North Montney region of British Columbia…. Progress Chief Executive Michael Culbert said federal and provincial authorities should consider combining regulatory proceedings for multiple plants and pipelines, with so many proposals now in the works. The current pipeline capacity to British Columbia’s Kitimat region is about 100 million cubic feet a day, far below what will be required to support an export industry, he told reporters after a speech to the Canadian Association of Petroleum Producers investment symposium. Northeastern British Columbia’s shale fields contain more than enough natural gas to feed a myriad of West Coast export terminals in the works, energy executives said at an industry conference Monday. But some say collaboration may be necessary to ensure the gas makes its way across the Pacific in the most cost-effective way possible. Penn West president Murray Nunns …said he sees the various LNG proposals joining forces at some point. “The scale of the initial projects at a (billion cubic feet) or two probably isn’t suitable relative to the size of the resource in Western Canada,” he told reporters. [F]ights over Canada’s oil sands could have an impact much closer to home. One company is hoping to boost oil-sands shipments to Asia through Northwest waters — plans that would quadruple tanker traffic through Vancouver, B.C., and dramatically increase the amount of oil traveling through the Strait of Juan de Fuca. Some of the tankers the company hopes to accommodate could carry four times more crude than the Exxon Valdez, the supertanker that spilled 11 million gallons of crude into Prince William Sound…. But it’s far too soon to say how much more. A growing number of energy industry players are looking to connect plentiful supplies of natural gas on this side of the Pacific with ravenous demand on the other. It will be costly and complicated to link production from northeastern British Columbia’s vast shale natural gas fields to Asian consumers, but it’s an undertaking several observers say is worthwhile. Ralph Glass, vice-president at AJM Petroleum Consultants in Calgary, likens the task to the construction of Canada’s major railways and seaways….. He said there currently is not enough pipeline infrastructure between northeastern B.C. and the coast to accommodate the volumes necessary for each of the proposed projects. Getting new pipelines approved and built can be a slow process.